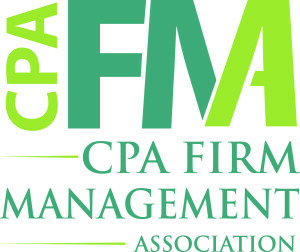 The Association for Accounting Administration (AAA) has changed its name to the CPA Firm Management Association (CPAFMA), and adopted a new tagline and logo. This is to better reflect the 31-year old organization’s mission of being a recognized leader in CPA firm practice management delivering valuable education and collaboration opportunities for those interested in elevating their practice and strategically growing their firms. “This new name will allow us to better reflect the work our members do and will do, and become even more inclusive for everyone who manages accounting firms,” says CPAFMA chair, Jim Fahey. CPAFMA is a strategic enabler of relationships and provider of valuable connections, resources and education to support holistic CPA firm practice management in the areas of strategy/partner issues, human resources, technology, finance, marketing and business development, in-firm communications, client service and operations and facilities. The CPA Firm Management Association, its leaders and members are committed to expertise and learning, professionalism and lasting relationships and collaboration.